Carrier Services of Tennessee, Inc. (CSI) is a transportation brokerage service company centrally located near Nashville, TN, in Mount Juliet. Founded in 1993, CSI has grown to be one of the most trusted and relied upon 3PL service companies in the transportation industry. CSI was formed to meet the increased demand by the shipping public who seek alternative solutions for moving commodities in as efficient, cost-effective and timely manner possible. With thousands of approved carriers in the North American market, CSI provides 3PL services to meet the most complex and diverse transportation needs. As a woman owned firm and a certified member of the Women’s Business Enterprise National Council (WBENC), CSI maintains a highly qualified staff of employees who are dedicated to providing exceptional customer service and developing long-term repeat clients. Our carriers are continuously monitored, protecting both CSI and our customers. Our technology monitors carriers and alerts us immediately to any change in safety, authority or insurance status. • 100% of our carriers have written contracts with CSI. Our vetting processes are consistent and precise. We take pride in our quick response communications, and offer auto email notifications for tracking and tracing shipments. CSI will provide reliable transportation services at a competitive price to our clients by offering full truckload on-time delivery in the U.S., Canada, and Mexico. Our consulting services will educate our customers in regulatory and operational issues to strengthen their efficiencies and enhance our relationships. CSI is a transportation brokerage company that offers its services with an emphasis on customer focus. We are committed to services and partnerships that meet the needs of our customers. We will continue to increase the scope of services to our customers and by doing so, increase our long-term relationships. Our business will grow through openness and honesty. The legal definition of a Transportation Property Broker according to 49 U.S.C. §371.2 (a) Broker means a person who, for compensation arranges or offers to arrange, the transportation of property by an authorized motor carrier. At CSI, our definition includes much more. We are here for our customers. Not only will we take on the responsibility of negotiating contracts, purchases or sales, we take every action to assure our customers that their business is in good hands. As the third party, we are fully qualified to handle any job, large or small. It is important to be completely knowledgeable of all requirements that must be met as a qualified broker. The carrier is the most vital part of the transportation process. A bad choice of carrier can result in immense losses. It is important for each broker to have a policy for qualifying carriers and monitoring the carriers continuously. Our founder and CEO is a member on the committee that publishes the only trade association endorsed “Carrier Selection Framework.” Working with professionals in safety and risk management within the transportation brokerage industry gives CSI an informed decision making platform in vetting its carriers. Carrier Services of Tennessee, Inc. is a transportation brokerage company that offers its services with an emphasis on customer focus. We are committed to services and partnerships that meet the needs of our customers. We will continue to increase the scope of our services to our customers and, by doing so, increase our long-term relationships. Our business will grow through openness and honesty. Carrier Services of Tennessee, Inc. will provide reliable transportation services at a competitive price to our clients by offering full truckload on-time delivery in the U.S., Canada, and Mexico. Our consulting services will educate our customers in regulatory and operational issues to strengthen their efficiencies and enhance our relationships. CSI was formed in 1993 in order to fulfill a need in the transportation industry. The reasons for forming CSI include the increased demand for shippers seeking alternative solutions for moving their commodities on a timely basis, the increasing entrance of motor carriers into the industry that have weaknesses in lane density, and the ever present need for large motor and rail carriers seeking improvements in efficiencies in spot markets. 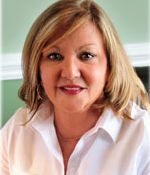 Sue Spero, President of CSI, has over 40 years experience in the full truckload sector of the transportation industry. Sue owned a trip lease firm prior to motor carriage deregulation, and went on to the position of Director of Operations of a truckload carrier. As a professor of Business and Logistics at Cumberland University, Sue received the Robert H. Beard Professional Award in 2001 for promoting higher educational standards in the field of transportation. A Certified Transportation Broker through the TIA, Sue is involved with the DNA, WBENC, Volunteer Chapter 135, the Nashville Traffic Club, and the World Trade Council, and is presently an adjunct professor of Business at Belmont University in Nashville. She proudly serves on the Transportation Intermediaries Association Board Of Directors. Along with the services of CarrierWatch, CSI maintains and manages current required paperwork on thousands of carriers, including insurance, certifications and contract carrier authority.